Companies don’t change, people do. 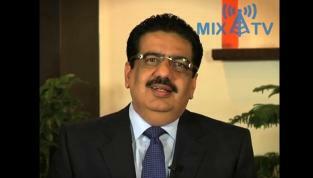 MIX Maverick Vineet Nayar offers his take on how to best mobilize the energies and passions of your people. Thank you very much for your insights and advice. They definitely seem to be in-line with the times. Especially, your explanation about "changing your environment" if it's not working for you. I believe this is very much in tune with the mind-set of the younger workforce. As you say, when following this thought process it creates backlash from most of management. The attitude is typically not appreciated, valued or rewarded and thus also forces transformers to become fence-sitters or lost-souls continuously searching for the organization that provides the right environment for them to thrive in. If it's not already the case, I anticipate that this lack of embrace of "transformers", change agents/leaders will lead to challenges in maintaining high levels of employee retention rates. Consequently, these organizations will not be able to attract nor retain critical, young talent which could prove detrimental to their survival. I also agree that once you've been a transformer, it's very difficult to go back to being a fence-sitter. The "high" that is experienced when you've completed a transformation project (no matter how large or small) is invigorating and addictive, especially when you feel passionate about the vision you are transforming towards.